Outline the major issues with FAD fishing. 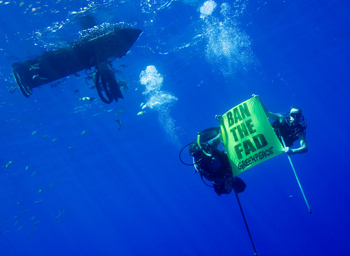 Provide guidance on best practices in FAD construction and use. Review the ISSF FAD Logbook. 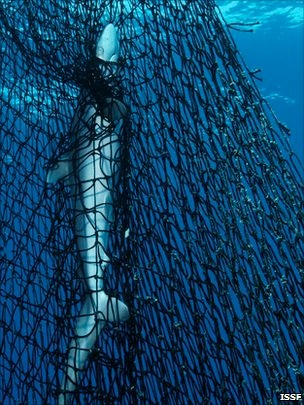 The use of FADs (fish aggregating devices) has become increasingly popular among the global tropical tuna purse seine fleet. Fishing efficiency has improved through reduced operational costs and by enabling successful fishing in times and places where free schools are unavailable. 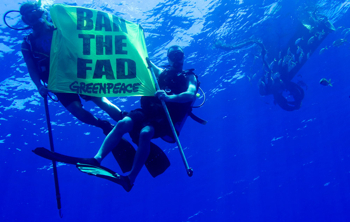 Drifting FAD (dFAD) sets are now responsible for at least half of the global tuna production. Given high and rising fuel costs, the utilization of dFADs has become a necessary aspect of tuna production for the global canning industry. Continuing education on this topic can help fishers to effectively apply improvements to maximize the benefits, and minimize the negative concerns, of FAD fishing. This knowledge could also prove useful in responding to recent anti-FAD campaigns promoted by certain environmental groups, who use both real and perceived problems of FAD fishing to encourage consumers to buy only free-school or pole-and-line-caught tuna. Tuna RFMO and national authorities have also begun to pay significant attention to FAD use and its impact on the larger marine ecosystem, with most RFMOs considering or implementing FAD monitoring and management plans at the regional or national level. With these forces at play, it is time for fishers to begin ensuring that their FAD fishing practices are as ecologically sustainable as possible.